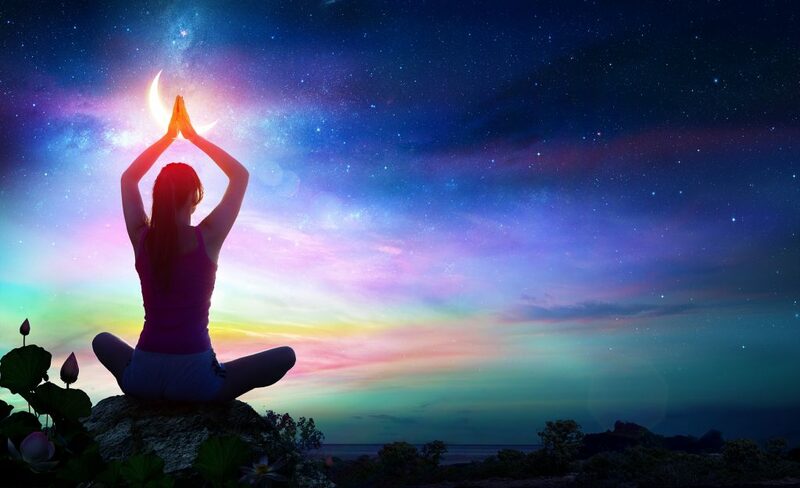 How the practice of mindfulness can help you navigate through times of healing and stress. the process of becoming sound or healthy again. When I was barely three months old, in 1967, I contracted a severe flu, dubbed the “Hong Kong Flu”. My mother, who was new to motherhood at the time, was reading a book about vitamins, which people were just learning about at the time. She read that Vitamin A could help with colds and flus so she started giving me large doses to help with my illness. These days Vitamin A is sold as Beta Carotene, a form which, if taken in large doses, the excess is just flushed out of the system, much like Vitamin C. But back then, Vitamin A was toxic if taken in large doses, something no one knew at the time. In her eagerness to cure my flu, my mother unintentionally gave me a massive overdose of Vitamin A. It calcified all my joints causing great pain. Instead of just one soft spot on my head like normal babies, my entire head was soft. I started crying all the time and eventually I was taken to the hospital. I received a complete blood transfusion to remove the Vitamin A from my system. I was diagnosed with the first case of HyperVitaminosis A which caused bone deformities in my legs, concentrated in the growth centers of my knees. I spent my childhood in and out of the hospital in traction, casts, wheelchairs and crutches. When I was twelve I transfered to a specialized orthopedic hospital where received a series of groundbreaking surgeries which lengthened my right leg to nearly match the left. I was even featured on the show “That’s Incredible”, along with other kids, because the leg lengthening surgery was so revolutionary. After my last surgery at age 17, the only time I was in the hospital was for the birth of my children. I did not take any prescription medication and rarely any over the counter medicine as well. I adopted a healthy lifestyle involving regular exercise and home cooked, low fat meals infused with lots of vegetables. I practiced yoga my whole life as a way to maintain flexibility, strengthen the muscles around my knee joint and improve balance. Even though I did a wide variety of low impact exercise, I always returned to yoga. In June 2017, a yoga instructor recognized my love of yoga and suggested I become a teacher. At first I discounted the idea but the more I thought about it, the more inspired I became. Although I had done yoga all my life, my mother had even taught yoga, I had never considered teaching it, probably because with my legs, some of the standing poses were challenging for me. But with my teacher’s encouragement, I realized that yoga was accessible to everyone. That inspiration became a passion that would change my life. In September 2017 I began my training. Two months into my yoga teacher training I discovered a lump in my breast that, after many tests, ultimately resulted in a diagnosis of Stage 2 Invasive Breast Cancer in December 2017. I would not complete my yoga training until March 2018. As difficult as it was, I decided to wait to do any treatment until after my training was completed. I used the time to explore all my options. Having cancer was at first unthinkable — I thought I had done everything possible to be in optimal health — yet sometimes the unthinkable happens to the best of us. While we can’t control what may happen in our lives, we can control how we handle it. I used the techniques of mindfulness to guide me to what was the right treatment for me. 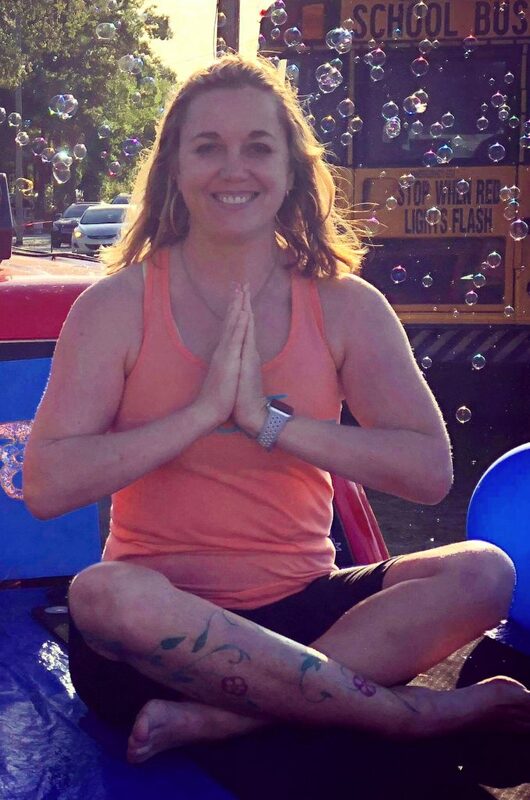 I began teaching yoga in January, before my certification was complete, with classes in Restorative Yoga, gentle yoga with a focus on reducing stress and restoring the body to health Through my practice of yoga and mindfulness, I was able to go through a stressful time with clarity. While I did experience fear & stress at times, I was able to use breathing techniques and positive visualization to pass through these feelings instead of letting them take hold. Four days after my graduation from yoga training, I had a bilateral mastectomy with immediate reconstruction. I had plenty of time to think during this process and realized that I had already begun a journey towards healing before my diagnosis…that journey brings me here today. Yoga kept me strong and flexible — I was able stand straight by 2 weeks after surgery, when most patients need 4-5 months. At the end of April, I returned to teaching Restorative Yoga. I soon realized that as a cancer survivor, I had the ability to influence and heal others. I decided to explore an additional certification through the Christina Phipps Foundation & the Mayo Clinic which trains certified yoga teachers to work with people impacted by cancer. There is no way that having cancer is a positive experience. But any negative experience can be transformed into a positive one. It doesn’t erase the overall suckiness of the experience but it can lead you new, positive influences you never thought were possible. The first step in this transformation is overcoming fear. Fear can be powerful —don’t fight it, just let it pass through you then move on. Imagine your negative feelings like ocean waves with you standing knee-deep in the sea. If you resist the waves and try to stay standing, the wave will knock you over. If, however, you dive into the wave, you will pass through it and come back up on the surface. Our attics can change, and this is a benefit worth exploiting— Stress changes us; embrace the change, look for the positive and move past the negative. In times of stress, build your tribe and learn how they can help you — some people are feelers: they will give you hugs and ask you how you are doing, while other people are actors: who can take you places, bring you food and help with tasks.